If you are looking for space to garden, there are community gardens with room for more participants. Contact information for many local gardens is available on the Local Garden page of www.northcoastgardens.org, or please call the North Coast Community Garden Collaborative at (707) 269-2071. While most farmers' markets in the area are closing down for the season, the Arcata Plaza Farmers' Market continues through the winter months. The market takes place on Saturdays from 9 a.m. to 2 p.m. until November 19th. Starting Saturday November 26th the Market will be from 10 a.m. to 2 p.m. Come out to get fresh vegetables and foods, and even plant starts for your garden, and support your local farmers. CalFresh (formerly "food stamp") benefits can be used at the Market, including to purchase seeds and starts. For more information about the Market including to view a video about using CalFresh benefits at Farmers' Markets, please visit www.humfarm.org. 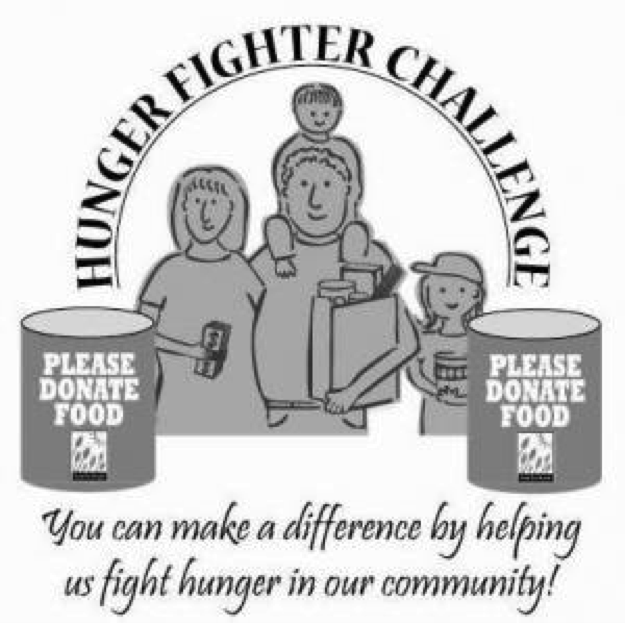 hunger-fighter-challenge or email Local Food Resources Coordinator, Laura Hughes, at lhughes@foodforpeople.org or call (707) 445-3166 extension 312. Food for People also provides a monthly mobile produce pantry to many communities in Humboldt County. More details are available below and at www.foodforpeople.org. Every first Wednesday from 9:30 a.m. to 12:30 p.m. at St. Joseph's Pantry. Every first Thursday from 10 a.m. to 1 p.m. at the Trinidad Rancheria Office. Every second Wednesday from 10 a.m. to 1 p.m. at the Volunteer Fire Department. Every second Thursday from 10:30 a.m. to 1:30 p.m. at the Post Office. Every third Tuesday from 10:30 a.m. to 12:30 p.m.at the Yurok Tribal Office. Every third Wednesday from 9:30 a.m. to 1:30 p.m. at the Willow Creek Community Resource Center. Every third Thursday from noon to 2 p.m. at Orick Elementary School. Every fourth Wednesday from 10 a.m. to 2 p.m. near the bank and gas station. Every fourth Thursday from 11 a.m. to 2 p.m. at the Family Resource Center (at the school). Cascadia Center for Leadership is gearing up for its 2017 10-day Leadership Development Program. This year the application deadline is Monday, November 14, 2016. Through the program, participants learn practical methods and tips to hone their leadership and collaboration skills. The program is held in two-day sessions over the course of four months. Cascadia Center for Leadership, a program of the Humboldt Area Foundation, The program is managed by Mary Gelinas and Roger James, who also co-direct Gelinas-James, Inc., an international consulting and training firm. As a team they offer cutting- edge leadership concepts and tools to emerging and seasoned organizational and community leaders. Enrollment is limited to 24 participants and an application is required. There is a program fee which includes program supplies and meals. A limited number of partial scholarships are available. To learn more or apply please visit cascadialeadership.org or call (707) 442-2993. The rains are upon us! If you haven't already covered your compost pile now is a good time to do so. On the coast where temperatures are generally mild broccoli, cabbage, kale, chard, spinach, and lettuce will all grow well from starts. Seeds of radish, beets, and carrots can be planted - look for varieties known to overwinter or withstand wet cooler temperatures. Protect young seedlings from frost with plastic at night. A greenhouse or coldframe work well too and inland, where freezing is more common, can help extend the growing season. Remember that CalFresh (formerly "food stamp") benefits can be used to buy seeds and plant starts at retailers that accept CalFresh (such as most Farmers' Markets and grocery stores). Fall is a great time to plant garlic cloves. Mulching around plants with rice straw can help suppress weeds but I've found it can also provide a good hiding spot for pesky slugs and snails. Try layering a granular bait like organic "Sluggo" before mulching, and reapply periodically on top. Cleaning up dead leaves and plants can help prevent mold issues from abounding and beautifies the garden while minimizing hideout spots for pests. If you have unused areas of your garden you plan to plant next spring lay down manure and all purpose fertilizer (oyster shell if the soil's acidic) and cover with cardboard (first remove tape and staples) and rice straw on top. By next spring the rains will make the straw and cardboard soft enough to plant or till into. Gardening Gazette is a free publication of North Coast Community Garden Collaborative, a support network of and for local community gardeners who work together to improve people's access to healthier lifestyle choices - particularly access to nutritious, locally-grown, and culturally appropriate foods, by creating and nurturing partnerships of community garden group and their supporters. Learn more at www.northcoastgardens.org or "North Coast Community Garden Collaborative" on Facebook. - Planning for Free Community Seed, Plant, and Fruit Tree Exchanges: Tuesday November 1 at 5:30 p.m. at Campus Center for Appropriate Technology at Humboldt State University. Join the Humboldt Permaculture Guild as they plan the Fruit Tree and Scion Exchange and Seed and Plant Exchange, two FREE community events happening in February and March of next year. New members are welcome and volunteers are needed. - Putting Your Garden To Bed: Wednesday, November 2 from 6 to 7:30 p.m. at the Beneficial Living Center, 148 South G street, Suite 1 in Arcata. Join the BLC for this informative community workshop on essential and sustainable practices. Topics to be covered include various cover crop options and benefits, information on adding amendments, and soil chemistry. For more information contact the Beneficial Living Center at 707-633-6125. - The Sustainable Apiary, Honey-tasting and Politics: Thursday, November 3 from 6 to 8 p.m. at Humboldt County Agriculture Department, 5630 South Broadway in Eureka. The Humboldt County Beekeepers Association (HCBA) General Meeting will feature a National Honey Show presentation with M. Palmer entitiled "The Sustainable Apiary." There will also be a local honey-tasting and the HCBA Board annual election. Beekeepers are invited to bring a pint-sized sample of local honey in a glass jar for tasting. Everyone is welcome to attend. Come meet your local beekeepers! For more information contact QMR_Bees@iCloud.com or call 707-845-3362. - Grant Writing Basics Workshop: Thursday, November 10 from 9 a.m. to 4 p.m. at Humboldt Area Foundation Community Center, 363 Indianola Rd. Bayside. This one day workshop with Carol Vander Meer will primarily address grants for nonprofits, community groups like community gardens, agencies, schools, faith based organizations, or local government. The training is recommended for individuals with little or no grant writing experience. Topics covered include planning and research, working with funders, step-by-step information of developing proposals, and a discussion of foundation & government grants. For more information contact Elysia Frink at 707-442-2993 or email NorCAN@hafoundation.org. - Sharing Our Traditions - Elders' Honoring Ceremony: Saturday, November 12 from 11 a.m. to 7 p.m. at Redwood Acres Fairgrounds, 3750 Harris street in Eureka. This community event provides an opportunity to honor all Elders and Veterans. The Intertribal Gathering allows non-native people a glimpse at the depth and beauty of Native cultures while providing American Indians a chance to share and embrace their traditions. Elders are served a free traditional dinner beginning at noon followed by an Elders’ Gifting Ceremony at 3 p.m. Throughout the day there will be Native singers, a drum group and dance demonstrations, as well as American Indian arts and crafts available for sale. Admission is free, and dinner costs $8 for adults, $4 for kids 12 & under and is free for ages 55+. For information please call Northern California Indian Development Council 707-445-8451. - Deadline for Applications for the 2017 Cascadia Leadership Program: Monday, November 14. More information is available in the opposite column, or by contacting Heidi Terbrack at HeidiT@hafoundation.org or 707-267-9916. Wednesday, November 16 from 11 a.m. to 1 p.m. Multiple locations; see below for details. The Humboldt Senior Resource Center (HSRC) has partnered with the Rotary Club of Arcata for 36 years to sponsor this annual Thanksgiving luncheon. The holiday meal will include: Roast Turkey with Gravy, Mashed Potatoes, Stuffing, Yams, Cranberry Sauce, Broccoli Salad, Green Beans, Whole Wheat Roll and Pumpkin Pie. Yum yum! Arcata Community Center, 321 Dr. Martin Luther King Jr Pkwy. Eureka Dining Center, 1910 California Street. Fortuna Christ Lutheran Church, 2132 Smith Lane. For reservations in Arcata call Tasha at 825-2027, call Cathy at 442-1181 for Eureka, and for Fortuna call Launa at 725-6245. 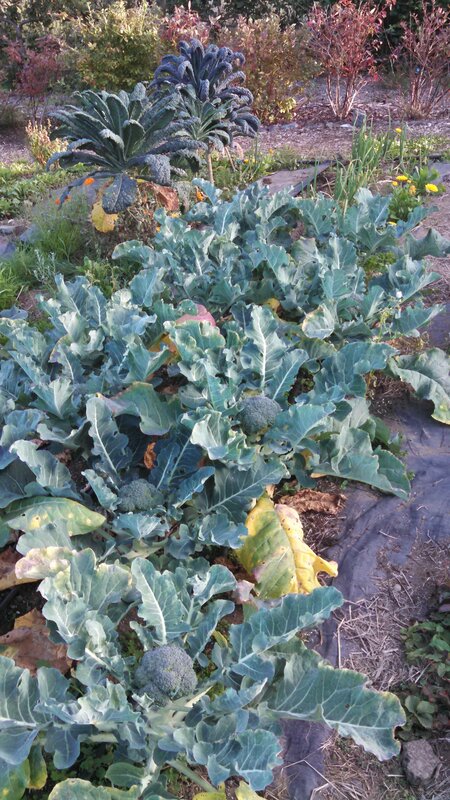 Broccoli and kale grow well in the cooler fall weather. Copyright (C) 2016 North Coast Community Garden Collaborative All rights reserved.